Summary, Conclusions, and Exercises are included at the end of each chapter. Michael Baron is a professor of statistics at the University of Texas at Dallas. He has published two books and numerous research articles and book chapters. Dr. Baron is a fellow of the American Statistical Association, a member of the International Society for Bayesian Analysis, and an associate editor of the Journal of Sequential Analysis. In 2007, he was awarded the Abraham Wald Prize in Sequential Analysis. His research focuses on the use of sequential analysis, change-point detection, and Bayesian inference in epidemiology, clinical trials, cyber security, energy, finance, and semiconductor manufacturing. He received a Ph.D. in statistics from the University of Maryland. "… an immensely readable text intended for junior undergraduate to beginning graduate students in computer-related fields, though it could be suitable for any calculus-based probability and/or mathematical statistics course. … the book is well written, and very well suited to the target audience—individuals in computer-related fields. 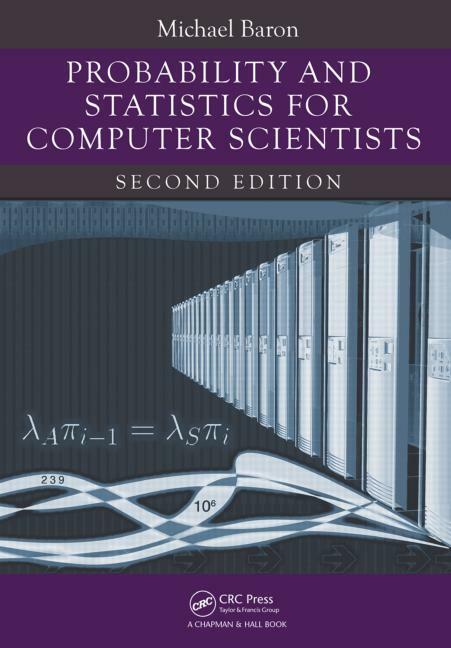 Through examples and exercises, the author does an excellent job demonstrating how probability and statistics are used in computer-related fields. The text could also be used for a standalone probability course or a two-semester probability and mathematical statistics sequence for mathematics and statistics students." 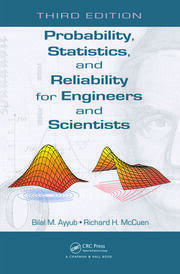 "The author has done his homework on the statistical tools needed for the particular challenges computer scientists encounter in statistics. Since the author has taken great care to select examples that are interesting and practical for computer scientists, the book should hold special appeal for that group. ... The content is illustrated with numerous figures, and concludes with appendices and an index. The book is erudite and demands a reader with a firm background in calculus. It could work well as a required text for an advanced undergraduate or graduate course." "… students of all majors will benefit from the author’s fine presentation of applied probability models and computer simulation. I am seriously considering adopting it for a [probability-oriented course] … the chapters on simulation and applied probability models are truly outstanding …"
"… an ideal textbook for computer science students. … This book is primarily intended for junior undergraduate to beginning graduate level students majoring in computer-related fields. It can also be used by electrical engineering, mathematics, statistics, actuarial science, and other majors for a standard introductory statistics course. Graduate students can use this book to prepare for probability-based courses such as queuing theory, artificial neural networks, and computer performance. Overall, this well-written text can be used as a standard reference on probability and statistical methods, simulation and modeling tools." 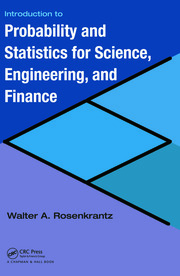 "The book represents a good reference to all who are interested in statistics, modeling stochastic processes, and computer simulation. … The book’s material is invaluable and presented with clarity …"